You are here: Home / Great Deals / POP Star Wars: Rogue One: Saw Gerrera Just $4.17! Down From $9! POP Star Wars: Rogue One: Saw Gerrera Just $4.17! Down From $9! Right now you can get this POP Star Wars: Rogue One: Saw Gerrera for just $4.17 (Reg. $9) at Walmart! 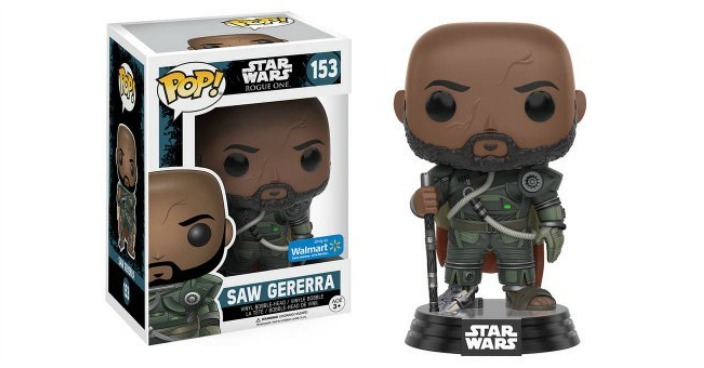 From Star Wars: Rogue One comes this Walmart Exclusive Pop 10 as a stylized POP vinyl figure from Funko. Standing 3-3/4 inches tall, the figure comes in a window display box. Be sure to check out the other Star Wars figures from Funko, and collect them all!